A fun snack featuring one of Australia’s most loved animals. This friendly giant koala is made from Dairy Milk chocolate with a soft gooey caramel centre. It’s easy to be laidback with a giant Caramello Koala! For those times when a standard sized koogie bear isn't enough. 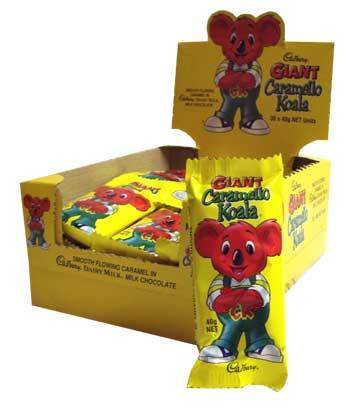 The giant Caramello Koala is chockful of caramelly goodness, and deserves to be savoured from koogie nose to koogie toes!